Good afternoon! The clouds have cleared the area and we’re going to see a ton of sunshine this afternoon. Despite the sunshine, it’s not going to be very warm. Afternoon temperatures will only be in the mid to upper 50s. A few places could hit 60 degrees. A Lake Wind Advisory is still in effect for most of the area until 4PM. Expect northwest breeze at 10-20 mph. Wind gusts could be up to 30 mph. The wind will start to settle down this evening. Most places will drop back into the 40s by 7 or 8 p.m. The overnight be clear and cold. Lows will be in the low to mid 30s. Freezing temperatures will be possible along and north of the I-30 corridor. Most places along and south of I-20 will stay above freezing. A few areas of fog can’t be ruled out Wednesday morning. The middle of the work week will be sunny and mild. 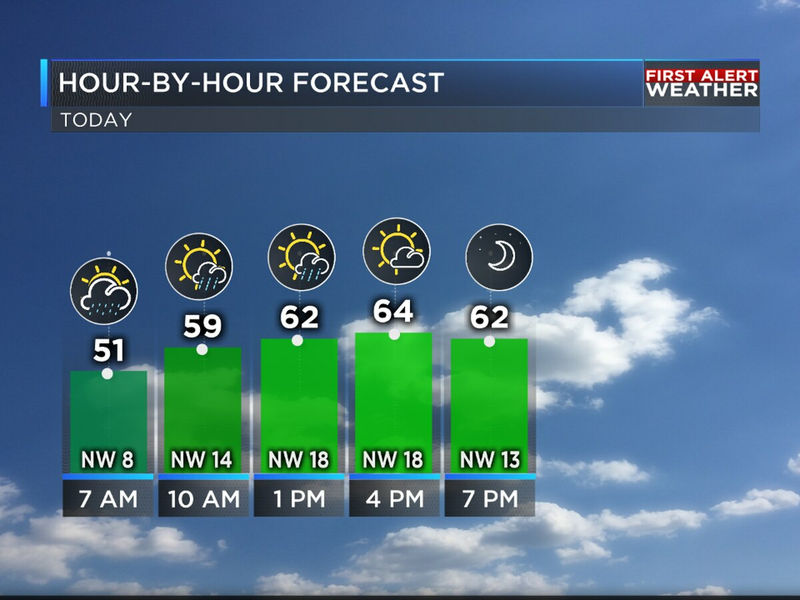 Highs on Wednesday will be in the mid 60s. Valentine's Day will be even warmer. Most places will hit 70 degrees. Even though it's not likely, a stray shower, or two, will be possible. Most will not have to worry about rain dampening their plans. A cold front will arrive on Friday. This front won't produce a ton of rain, but a few showers will be possible. This front will have a much bigger impact on our temperatures than rain chances. It's going to set us up for a cooler weekend. Highs on Friday will be in the mid 60s, while temperatures will only top out in the 50s on Saturday and Sunday. Overnight lows will be in the 30s and 40s. Both Saturday and Sunday will feature a heavy dose of clouds. Most will stay dry on Saturday. However, a few showers will be possible on Sunday. More rain will be possible early next week as a reinforcing shot of cold air arrives.